“Teamwork” best exemplifies the latest formation of Whitesnake. On their 11th studio album, Forevermore, the band exudes energy and passion, something that has been missing for quite some time. Band members give off an inspired pride, and it’s not just front man David Coverdale taking all the glory, either. With a lineup of seasoned veterans of rock, how could you go wrong? The band is in synch with one another; the interlocking rhythm section of bassist Michael Devin (Lynch Mob, Kenny Wayne Shepherd) and drummer Brian Tichy (Billy Idol, Lynch Mob, Foreigner) is tight, and the guitar tandem of Reb Beach (Winger) and Doug Aldrich (Lion, ex-Dio) are a shred-riffing machine, and they compliment each other so well. And of course, Coverdale’s macho howling, make this probably the best ‘Snake lineup since the early days. You can’t deny Coverdale’s résumé or back catalog. He was part of Deep Purple’s Mark III era until 1976, singing on albums Burn, Stormbringer and Come Taste the Band. He never achieved as big a success with early-era Whitesnake until 1984’s Slide It In and then, of course, 1987’s blockbuster self-titled album. 2008’s Good to Be Bad, which introduced Beach and Aldrich as a formidable guitar duo, wasn’t an awful album, either. The hip-swaying, blues-tinged swagger of CD opener “Steal Your Heart Away” gets things off to a rockin’ start. Infused with keyboards, harmonica, slide guitar and Coverdale’s distinctive croon, the band lets you know the ‘Snake is alive and ready to rock. The Zeppelin-esque "Whipping Boy Blues," which features Coverdale’s son, Jasper, has a heavy groove, sort of in the range of "Black Dog." A Whitesnake album wouldn’t be complete without a ballad, and "Easier Said Than Done" is it. Coverdale’s vocals are emotional, giving way to its powerful melody. 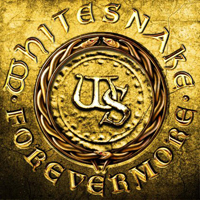 On Forevermore, Coverdale & Co. have come up with a tasty, bluesy, exuberant rocking album. It’s more than enough to keep the British singer’s legend alive.